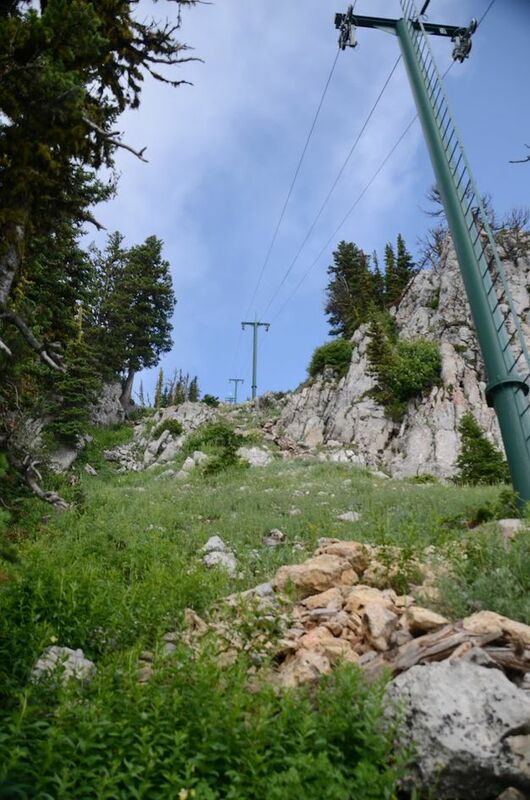 This hike winds below the chairlifts of the Bridger Bowl Ski Area in one of the quickest routes to the ridge of the Bridger Mountains. Without wasting too much time, the trail begins a steep ascent upwards and doesn't stop until you reach the top. There is no shade and very little water along the way, so come prepared. 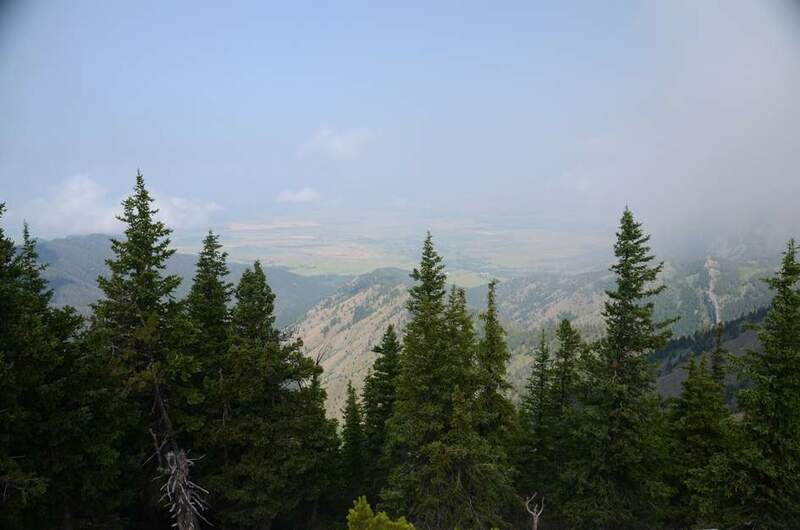 Upon reaching the ridge you'll be rewarded with sweeping views of the Gallatin Valley and Bridger Canyon. 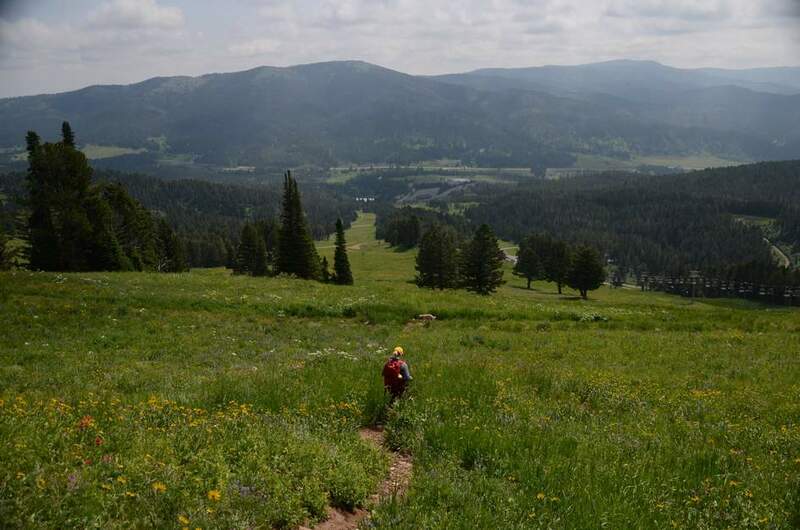 In addition to hiking down the way you came up, you have an option to hike roughly half of the ridge by either heading North towards Fairy Lake or South towards The M.
From Bozeman, head towards Bridger Bowl on Bridger Canyon Drive. 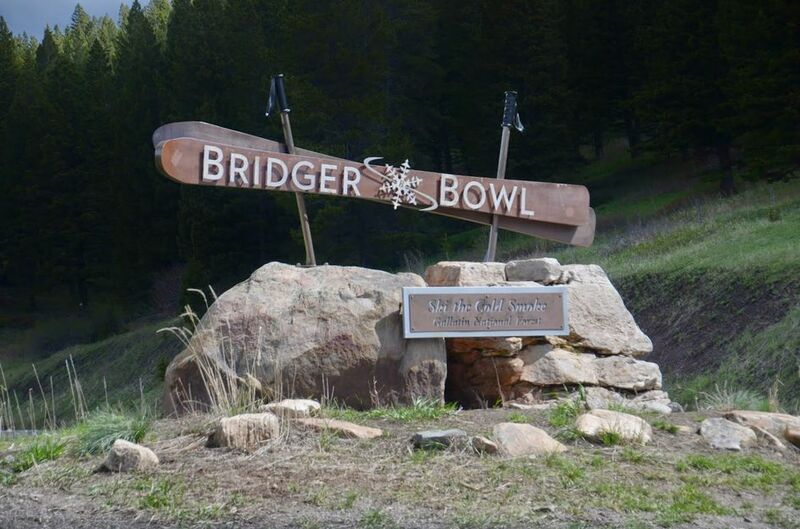 When you see the sign, turn into the entrance for Bridger Bowl Ski Area. As you approach the chalet, continue on past as the road keeps right and winds uphill for approximately one mile. You'll see the trailhead sign on your right and a gate ahead that is usually closed. There are approximately 4-5 spots for cars plus a lot of gravel road with plenty of room to park. This hike is usually pretty quiet and parking won’t be an issue. 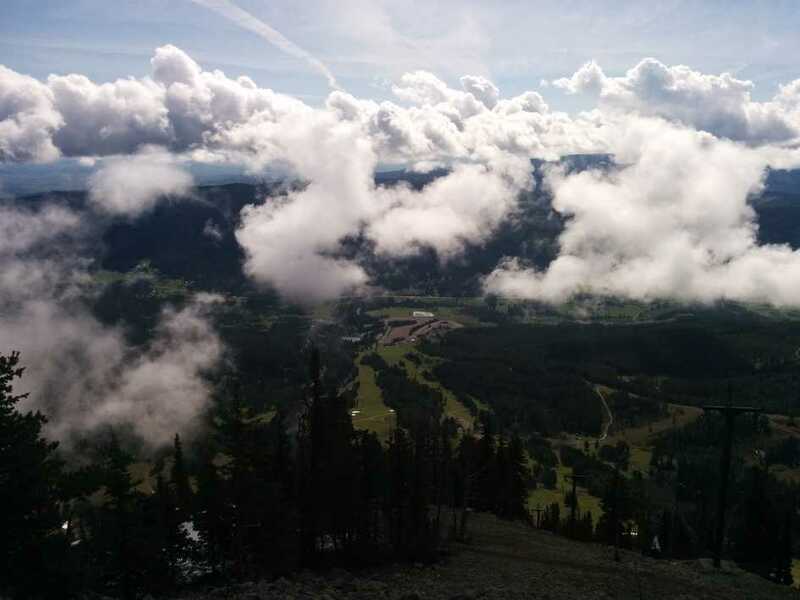 In a short 2.5 miles, this hike gains over 2000 feet in elevation. The pitch to the ridge is relentlessly steep until the very end, so much so that it can be difficult to find flat places for short rests. 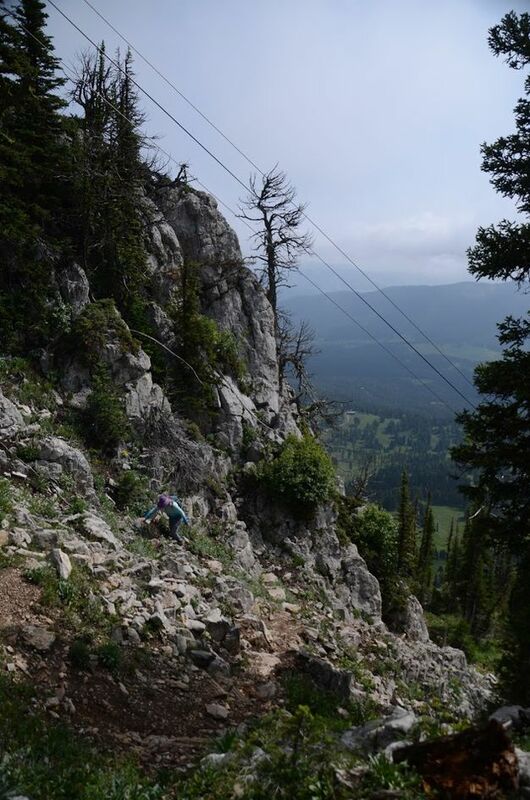 The trail is often narrow, uneven, grassy and diffucult to find, which all contribute to the rating. Averaging roughly 1.25 miles per hour on this hike it typically takes a bit over 2 hours to get to the top. With a 45 minute break on the ridge and a bit over an hour to get down, the entire hike should take approximately 4 hours to complete. This route starts at 6394 feet above sea level and ends at 8510 feet. The hike is steep the entire way up with no downhill whatsoever. Ridge hikes are always beautiful destinations. 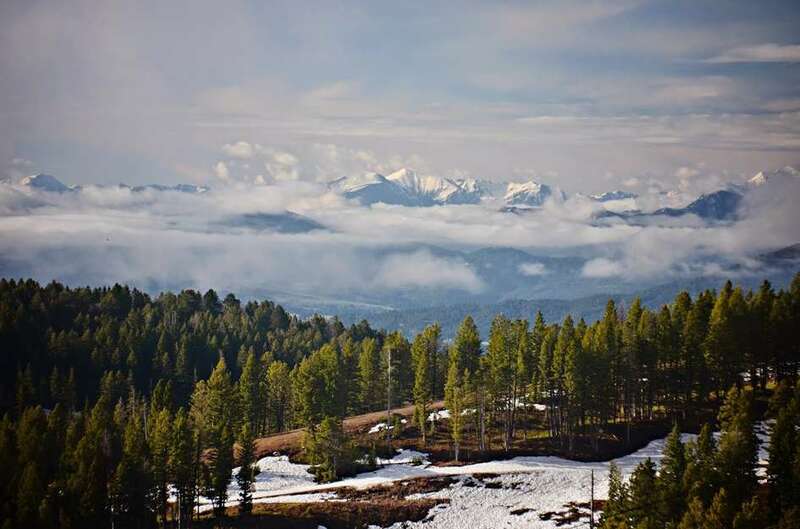 If you’re looking for views of the valley and the ridge this is a great destination, but it won't top the views from Sacajawea. If you’re hiking in the spring, a seasonal creek runs right behind the trailhead. It also is accessible to the north of the main route a few places during the hike. Don’t count on this water source in the dryer summer months. Due to unpredictable pumping opportunities, it’d be a good idea to carry 64 oz per person. It should be enough to complete the hike, but not too much to carry the whole way. Not required to bring food on this hike. 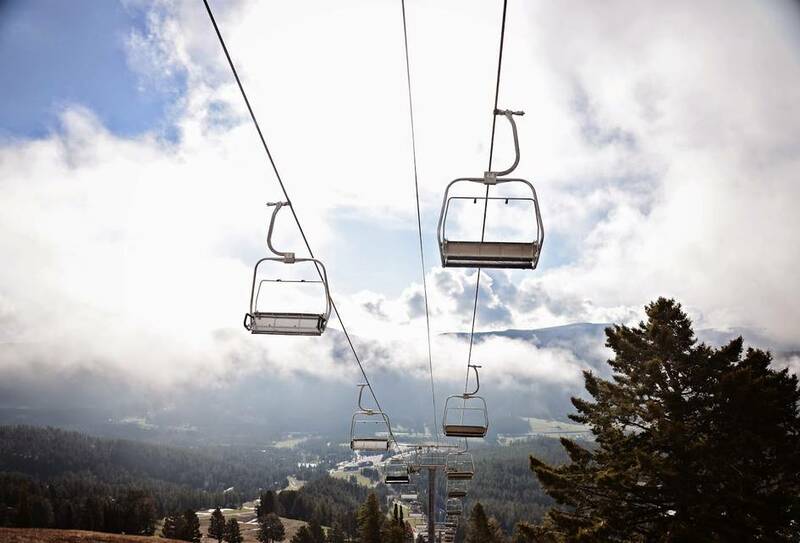 If you choose to bring a snack or lunch, the ski lifts offer nice places to stop and rest, as does the helipad on the ridge once you get to the top. 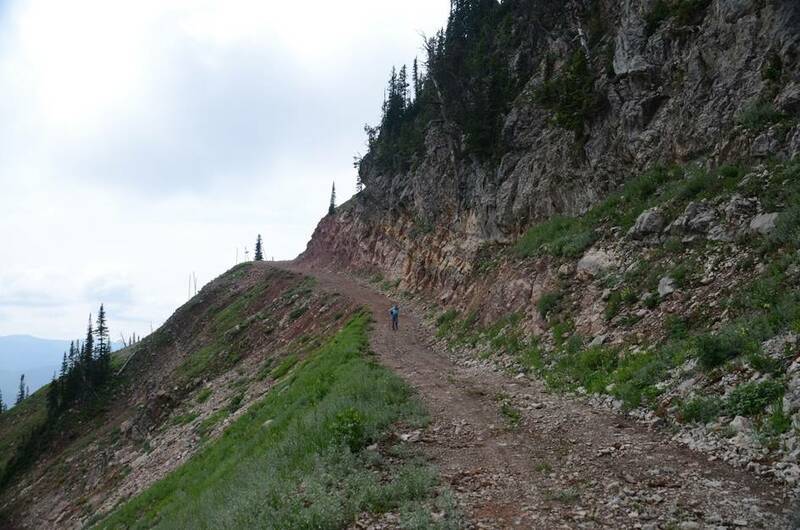 If you're looking to take the most direct route to the top (described here), the trail can be narrow, steep, uneven, and hard to follow. Navigation isn't a problem since the lack of trees always allows you to keep the ridge in sight, but finding the beaten path can be tricky. If you're looking for a path that is a bit less steep and easier to follow, look to your 2:00 as you start the hike. 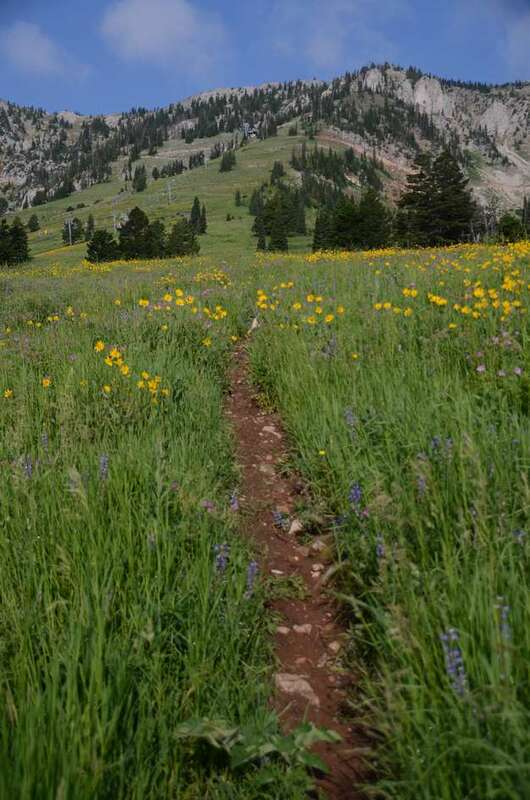 This is the "North Bowl Road" on the Bridger Trail Map. 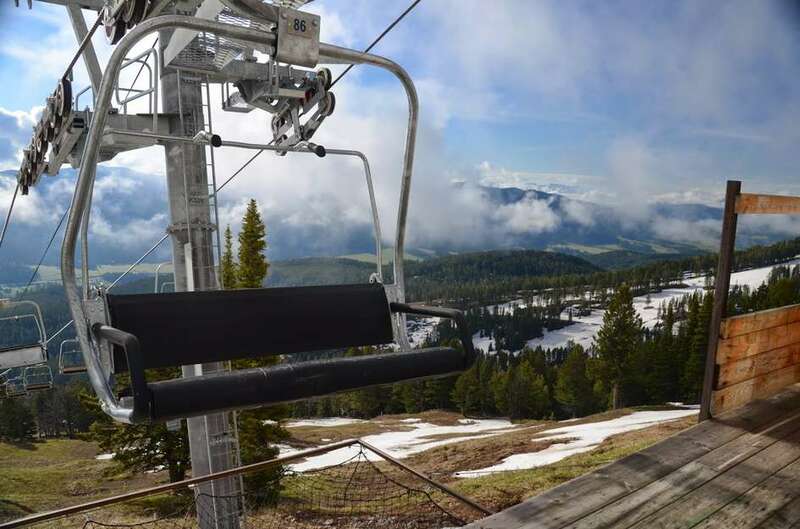 Expect snow through May which might prevent you from getting to the ridge. Seasonally. This hike would likely be too hot and dry for dogs in the summer months. Lack of shade and only the seasonal presence of water make this hike best for dogs in May and June when there is water/snow available. There's roughly two miles of well maintained gravel road while approaching the trailhead. 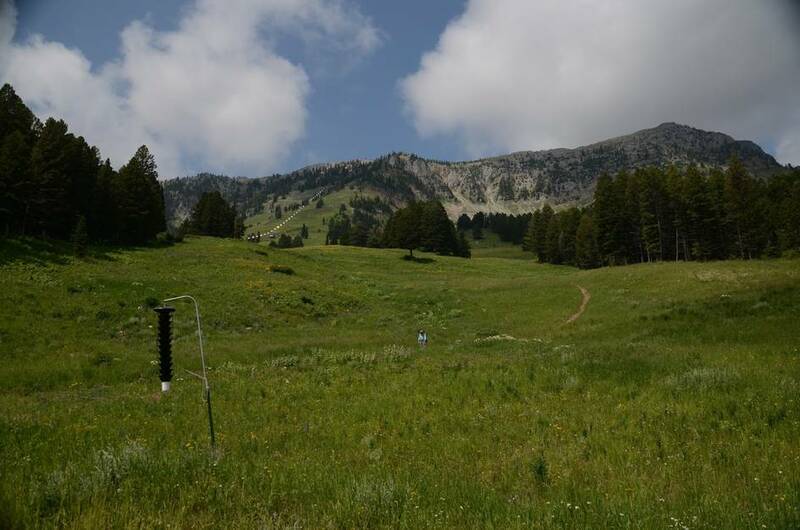 Beartooth Publishing's Bozeman Area Map covers this hike in its entirety. There are at least 4 parking spots immediately at the trailhead, plus there’s a big wide gravel road leading up to it with plenty of room to park. This trail is quiet though, and parking won’t be a problem. Take care of business before you leave Bozeman. 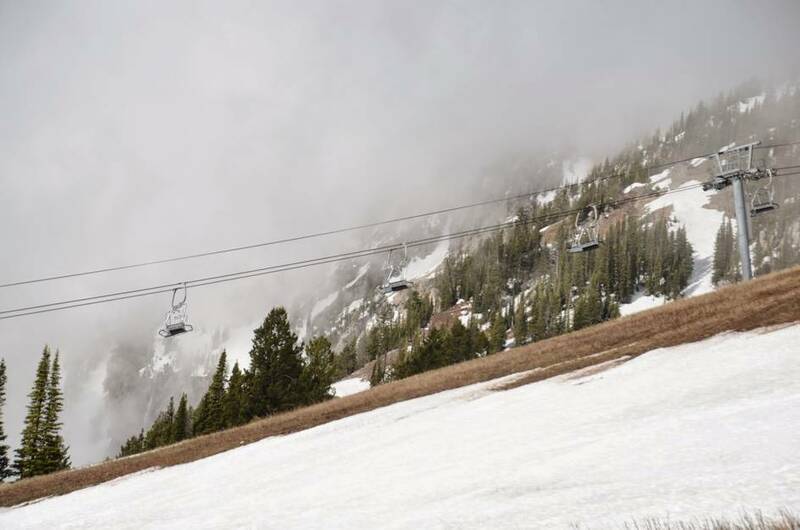 Once you start heading out of town, there's really nowhere to stop along Bridger Canyon Drive and Bridger Bowl's facilities will not be open during their offseason. 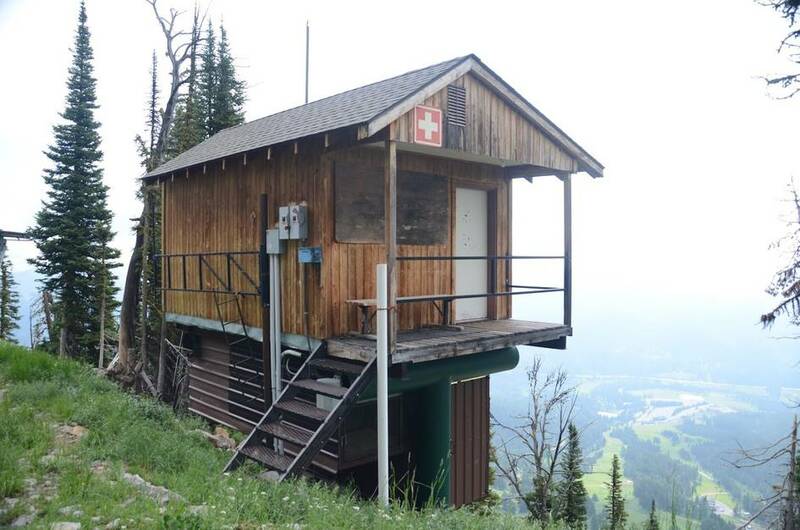 Additionally, be aware that there will be limited privacy during the hike. Traffic picks up on the weekends, but this trail stays quiet relative to similar hikes near town. Sun protection is necessary on this hike. Wear either light synthetic fabrics or lots of sunscreen. 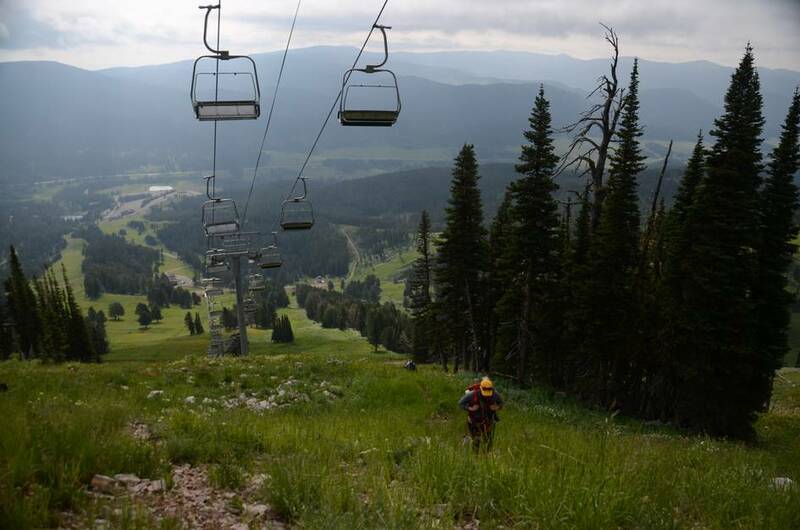 Be prepared for wind and cooler temps at the ridge with an extra layer. DO NOT FORGET SUNGLASSES. The first part of the trail gets overgrown with tall grass and flowers in the mid to late summer months, so it’s nice to have light pants on even if it’s hot. Dependent upon season you could be hiking through tall grass packed with grasshoppers and other bugs. There are very few trees and little cover on this hike. You're exposed to the sun and wind, plan accordingly. Using Verizon, service at the ridge was pretty good and can be found in spots on the way up. Don't count on using your phone, but you may as well bring it along on this one. Lack of trees, water and a constant incline make this a less than desireable camping spot. 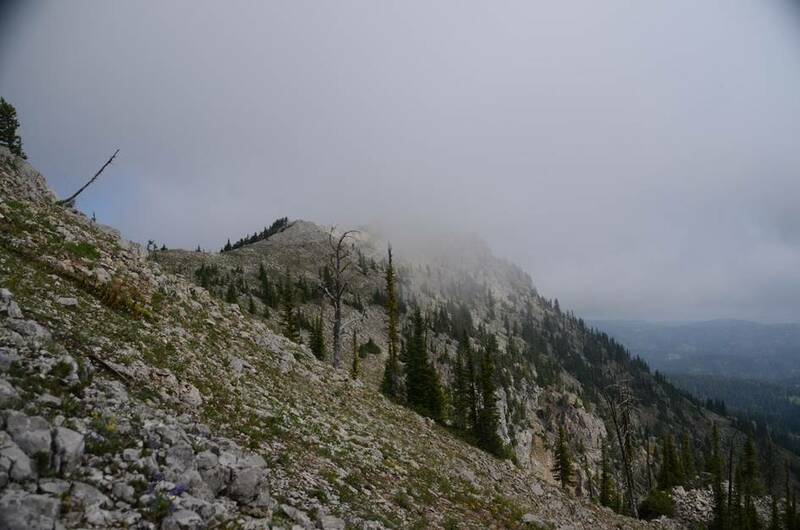 There is another trail that runs along the spine of the Bridgers referred to as the Bridger Ridge Hike. 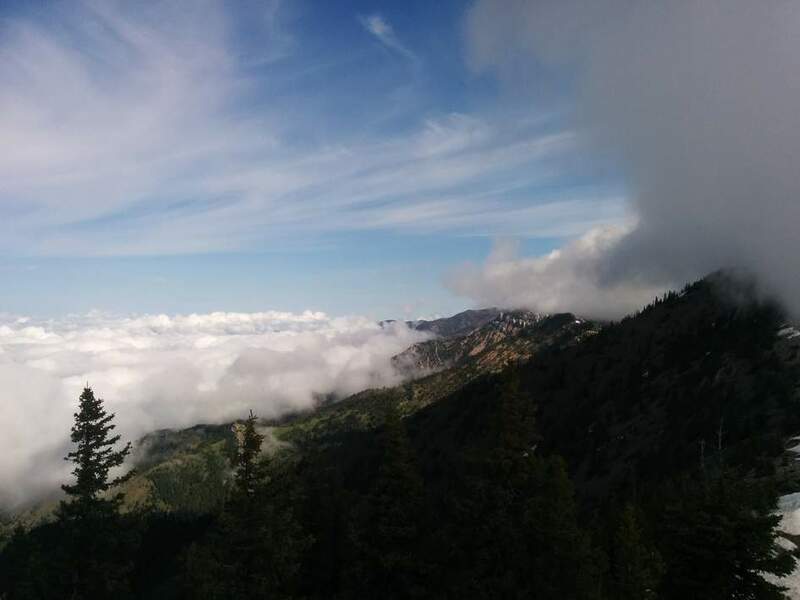 It is a 22 mile trail running between the “M” parking lot and Sacajawea Peak. 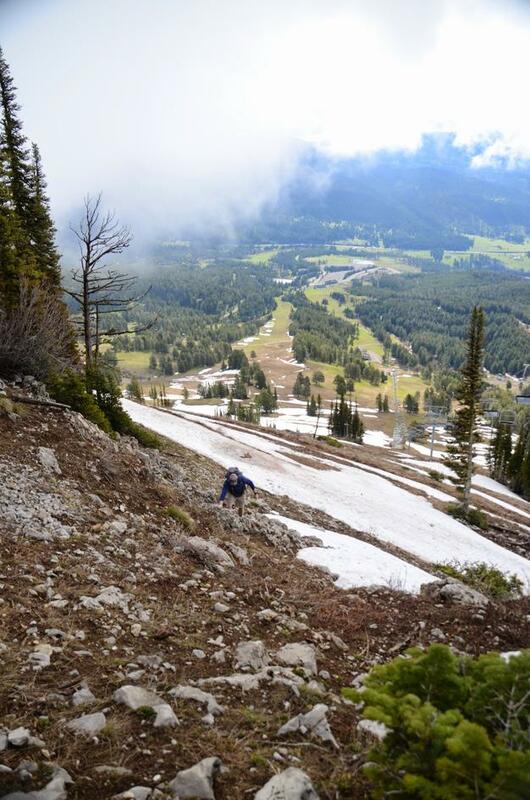 Bridger Bowl is a great way to access the halfway point of the Bridger Ridge Hike.